This book presents how to make the most of watercolor's fresh, vibrant nature through light, color and contrast. It shows how color, value, contrast and composition affect the impact of paintings. 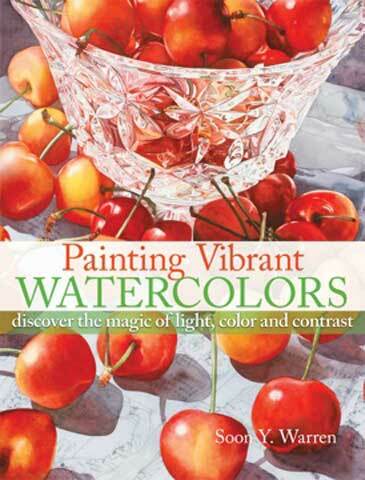 It includes the plans and techniques needed for successful, realistic watercolors and 16 demonstrations on how to create brilliant paintings and paint a variety of subjects, including still life, landscapes, water scenes, flowers, architecture and animals. This book is a balance of classic theory and hands-on technique. Engaging and easy-to-follow instruction give a solid foundation to take work to the next level of dynamic paintings.